U.S. Congressman Michael C. Burgess, M.D. Congressman representing the 26th District in the House of Representatives. Join us on Wednesday, October 17, for another UNT Eagle Business Network event you won't want to miss! The afternoon will feature lunch from Maggiano's Little Italy, special guest U.S. Congressman Michael C. Burgess, M.D., and plenty of opportunities to network with fellow UNT College of Business alum. As a practiced obstetrician of 30 years, Congressman Burgess brings a unique perspective to the policy and legislation table. He serves on the House Energy and Commerce Committee as the chairman of the Subcommittee on Commerce, Manufacturing and Trade, in addition to sitting on the Subcommittee on Health and the Subcommittee on Oversight and Investigations. 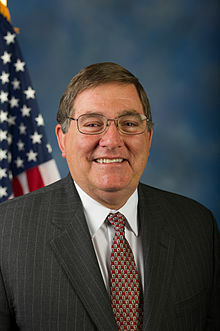 Congressman Burgess also serves on the Rules Committee and the Helsinki Commission and is the founder and co-chairman of the Congressional Health Caucus.